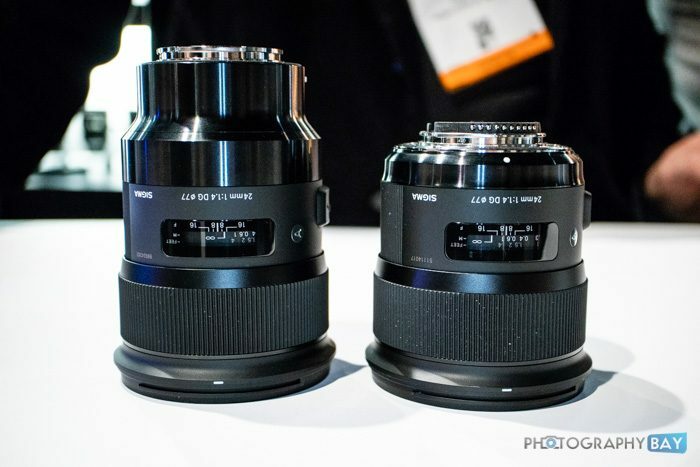 Above, the Sigma 24mm f/1.4 Art lens is shown in Sony (left) and Nikon (right) mounts. Essentially, this is the same barrel length increase as using the adapter on the EF-mount lenses. The weight increase is minimal, however, since there are no additional optics between the mount and the rear element. We just have to deal with the extended lens barrel. Sigma actually bottlenecks the barrel down as you can see on the 24mm f/1.4 Art lens above. This design minimizes the weight and footprint of the lens as much as possible. I will be interested to see user reports of the new E-mount Art lenses as they begin arrive to customers later this month. My only real worry is that they feel a little front-heavy with the center of gravity pushed further away from the camera. Otherwise, I think we can expect some winning lens options for Sony shooters. 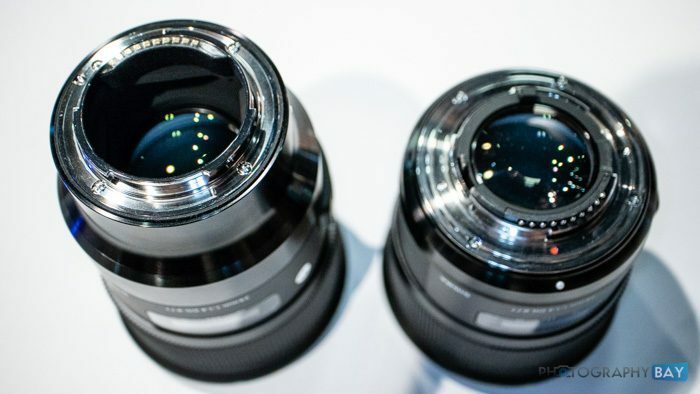 Sony shooters, what do you think about the new native Sigma Art lenses for the E-mount system? These aren’t Canon mount lenses. They are Nikon. I was testing several Sigma lenses with the 5D Mark III and I guess this 24mm lens that was on the counter just happened to be the Nikon version. I’ve corrected the reference in the post to reflect that. Of course, the observations and comparisons otherwise remain the same. I’m a Nikon shooter, not a Sony one – plenty of my friends are Sony shooters, though. As a comment from left field, I think Sigma is to be commended for taking the trouble to produce a version of this lens for Sony E-mount cameras. It’s a shame that more manufacturers in the photography industry aren’t similarly inclined. Tamron, for example, has a large following, and I would be appalled if I found any of the other manufacturers were making life difficult for photographers who’ve chosen a Tamron lense instead of one made my the manufacturer of their camera. I won’t go into detail here, but it seems something of that nature has in fact occurred recently with a different manufacturer. And I repeat what I just said in the previous paragraph – I have been appalled by their behaviour. The Sigma ART 24, 50 and 85 are outstanding lenses. I believe the 85mm ART is currently rated as the best 85mm in the world. And the other two are only beaten by the Otus 28 & 55 – the margin is not huge, and I can assure your readers that the 50mm deserves every bit of praise that’s been heaped on it. I had both the 24 and the 50, but I’ve replaced the 24 with two other lenses (a tilt shift and the 28mm Otus), so it really made no sense to keep the 24mm ART as well. Other photographers will likely make their choice on issues like weather proofing (better on the Sigma lenses than the Otus’s) or AF (the Otus’s are MF – which doesn’t worry me, but others hate the idea). So I hope Sony photographers welcome this contribution to their work, from Sigma. 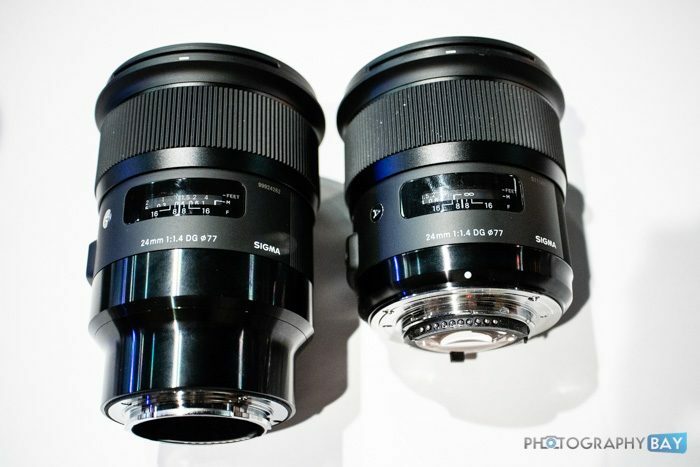 Sigma lead in launching FF Sony E mount lenses is commendable. I am using 85mm 1.4 Art with MC11 adapter that yield excellent results. But why they can’t produce less heavy lenses? It is really difficult to shoot handheld. Hope native mount improves the situation in quality and handling. I’ve no idea what the weight difference is, Mukun – as I said, I shoot with Nikons and the weight of the ART lenses I’ve used is actually reasonably low. Not that I mind much – a hefty lens helps with stabilisation, and I was able to use the ART 50mm to take an extraordinary shot, hand held, at 1/100th, of the Arche de la Defense, from the top of the Arc de Triomphe, over 3 Km away. You can actually read the building names on the buildings beside the Arche de la Defense, which I found amazing. I should think making these lenses with a native mount, for the Sony E mount cams, would be quite a costly exercise – or Sigma would have done it already.